To be expanded upon when needed. Any idea where that mountain pass would end up? I like the sound of these clans. They should give Falkreath another interesting feature. Do we know when the Count of Chorrol died? Maybe it could happen during a quest in our mod? In general, our Nords need some more edge compared to the relatively civilized and rich specimens found in current lands. These mountain tribes wouldn't exactly be those tribes on the fringe, who have never heard of Septim or his empire, but somewhere in between those and your regular Bear Clan member. There can be some interaction between these and the Hörme movement, but mostly these tribes stick to themselves, when they're not putting villages on the foot of the Jeralls to the torch. 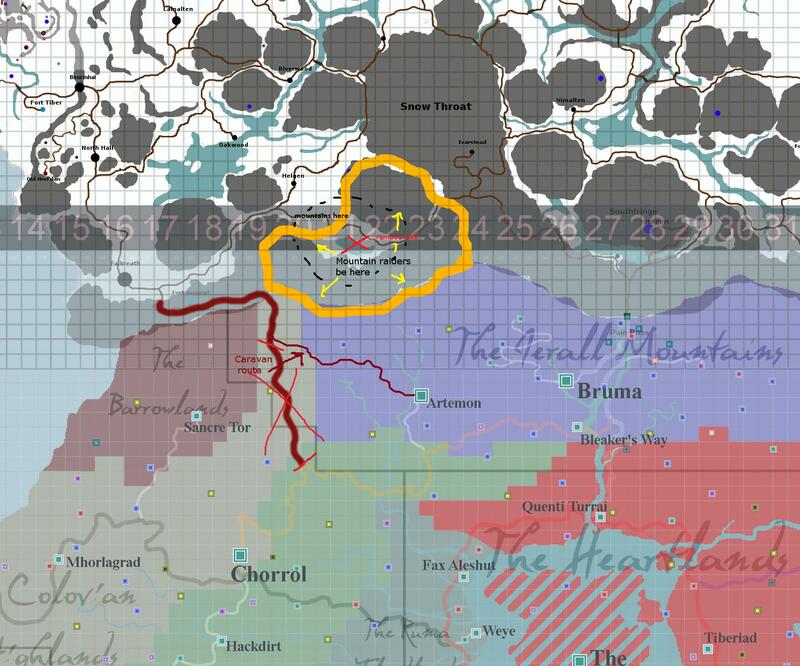 Any attempts by the military of Falkreath to subdue them has failed, as military campaigns in this region is an ardous task in itself, and your opponent having extensive knowledge of the lands isn't exactly helping. The current chieftain-among-chieftains is Horg the Stout, from the infamous Skull-Drinker Clan.